New Delhi(PTI): Days after a court restrained news portal ‘The Wire’ from publishing or broadcasting reports based on an article published by it regarding a company of BJP chief Amit Shah’s son, Congress leader Rahul Gandhi today said he would neither speak himself about “Shah-zada” not allow others. “Mitron (friends), will not speak about ‘Shah-zada’, nor will let anyone speak,” he tweeted in Hindi, referring to an interim injunction granted by an Ahmedabad court on a criminal defamation case filed against The Wire by Jay Shah, the son of the BJP president. Gandhi also tagged a news report report entitled, “Ahmedabad Court injunction: ‘The Wire’ barred from writing on Jay Shah”. Zada, zade or zadi are Persian suffixes used as part of titles for members of royalty, denoting the sons and daughters of a king. Additional Senior Civil Judge of Ahmedabad (rural) court had granted an injunction on Jay Shah’s plea on Monday restraining the defendants from publishing, printing, telecasting, broadcasting or holding debates in any language on the basis of the article published by the news portal, pending hearing and disposal of the matter. The Wire had recently published an article claiming a company owned by Jay Shah saw a huge rise in its turnover after BJP came to power at the Centre in 2014. Following the publication of the article, the Congress party demanded the removal of Amit Shah as BJP president and constitution of a two-member judicial commission of inquiry comprising judges of the Supreme Court to go into his son’s business dealings. Both the Congress and Gandhi, its vice president, repeatedly questioned Prime Minister Narendra Modi’s “silence” on the issue. Gandhi earlier took a swipe at the BJP and the government over the latter extending legal help to Jay Shah in the defamation case. “The State’s legal help for Shah-zada! Why this, why this Kolaveri Da?,” he had earlier tweeted. Tushar Mehta, Additional Solicitor General of India, a top law officer of the Centre, will appear for Jay Shah in the defamation case. 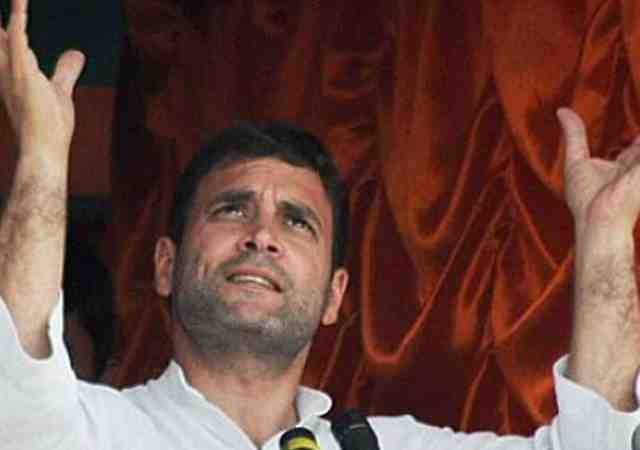 Congress leader Rahul Gandhi today said he would neither speak himself about "Shah-zada" not allow others.